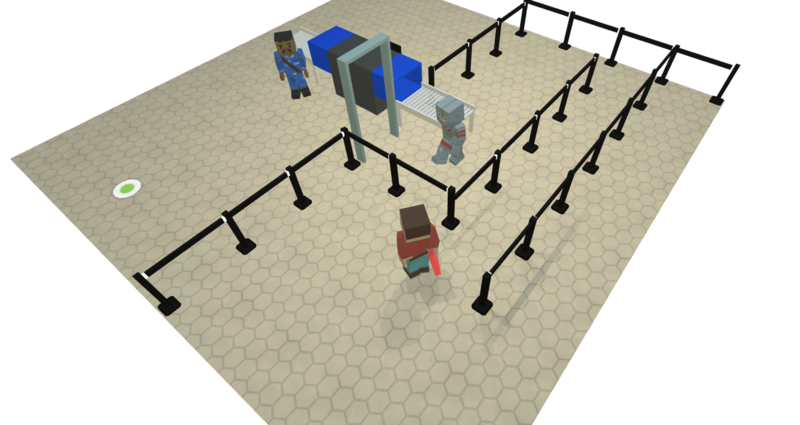 Essentially, the game will be about trying to perform different 'quests' that involve getting prohibited items through TSA. There will be a bit of violence, but mostly trying to make it an adventure game where you solve problems by collecting the right objects and talking to people. Not making a lot of progress in terms of actual gameplay, mostly because I think I have it all fleshed out in my mind. Switched to the lightweight rendering pipeline in Unity, played around with ProBuilder a bit. Working on a more modular and extensible system for creating NPCs and dialogue -- there are a lot of tools out there! Might use "Yarn Spinner" which was utilized by Night in The Woods. Also delving a little bit into shader graph, though I have no real idea what I'm doing there.